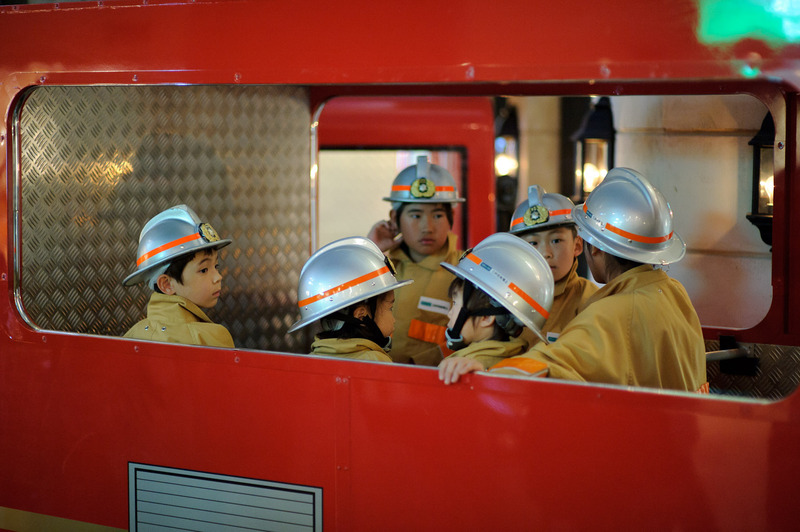 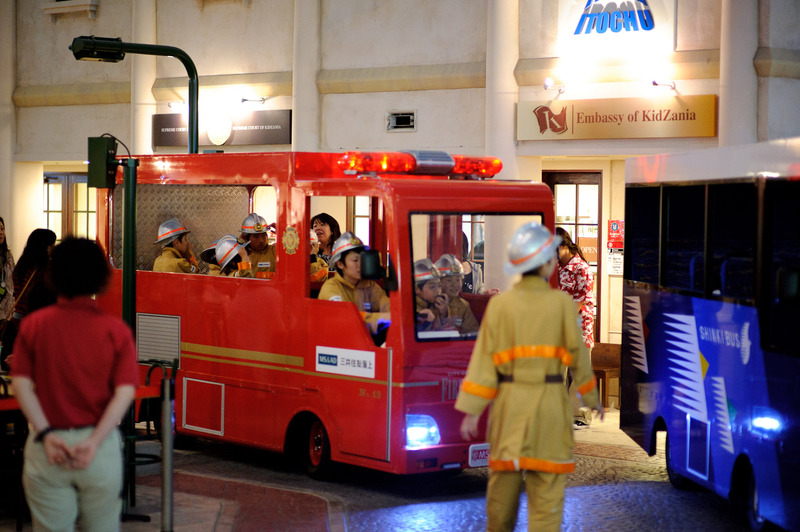 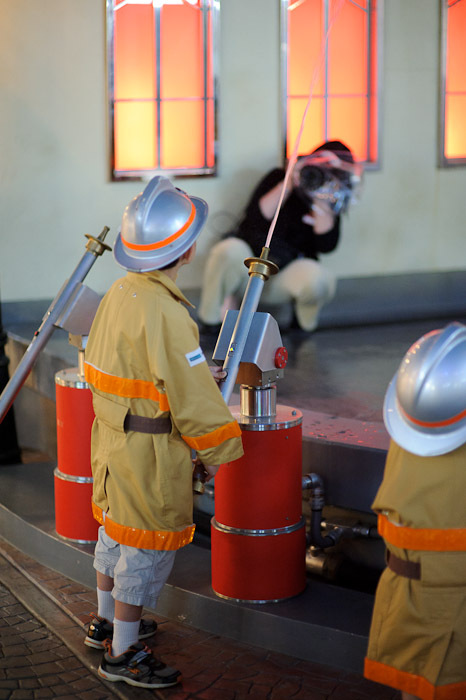 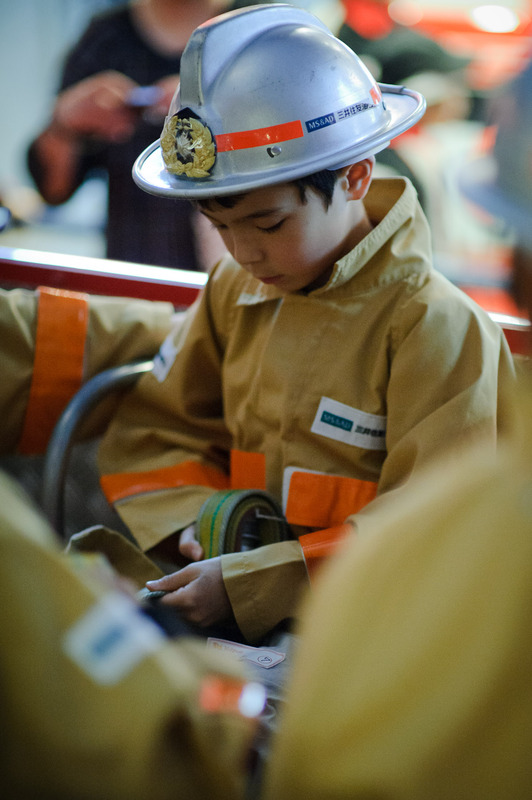 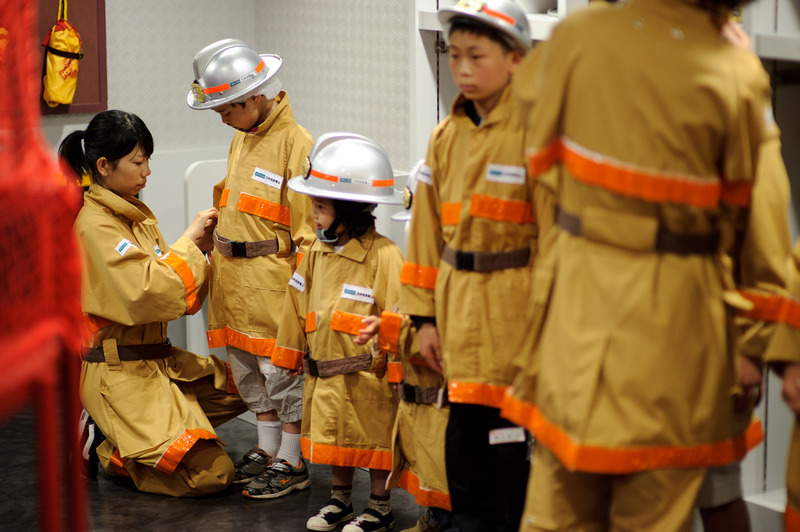 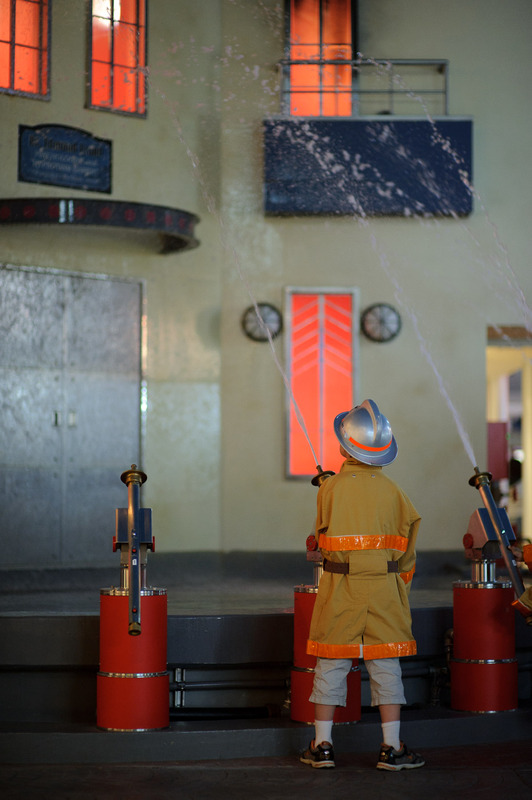 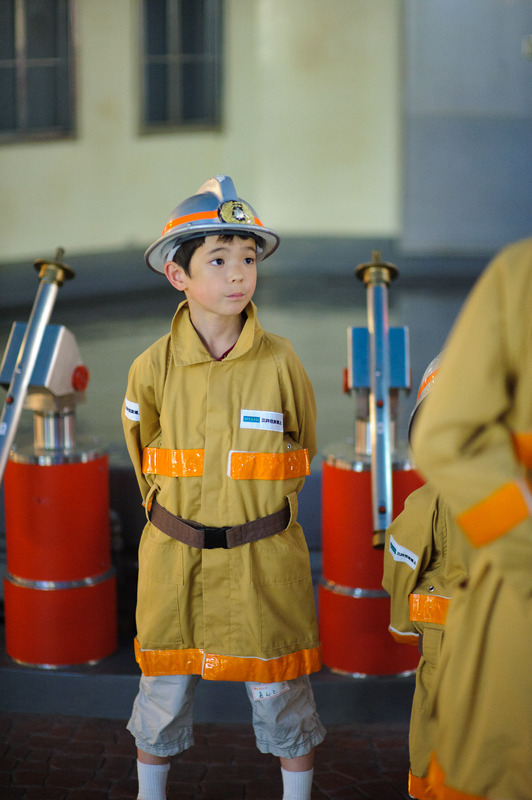 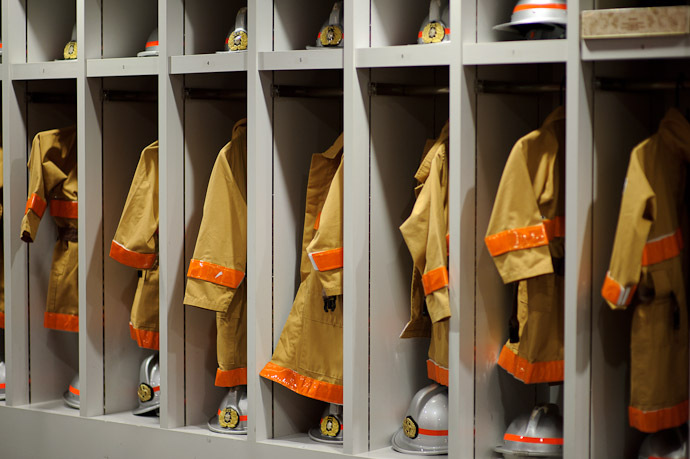 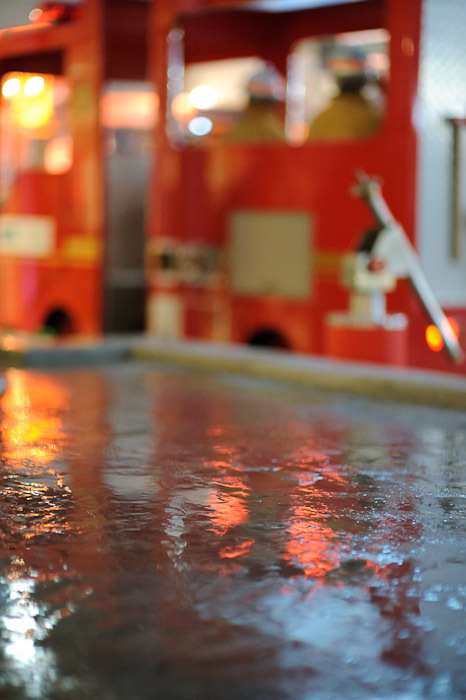 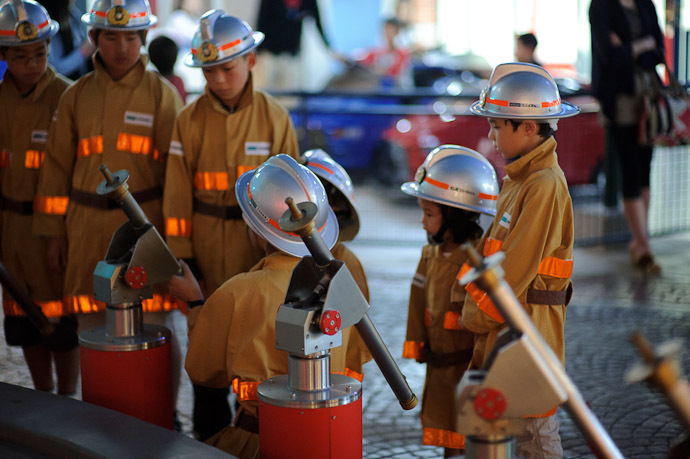 After Anthony's stint in Appliance repair at our most recent visit to the most-excellent KidZania in Kobe, Japan, it was time to get busy putting out some fires. Unlike the joyful high-five at the previous job the one here was mechanical. 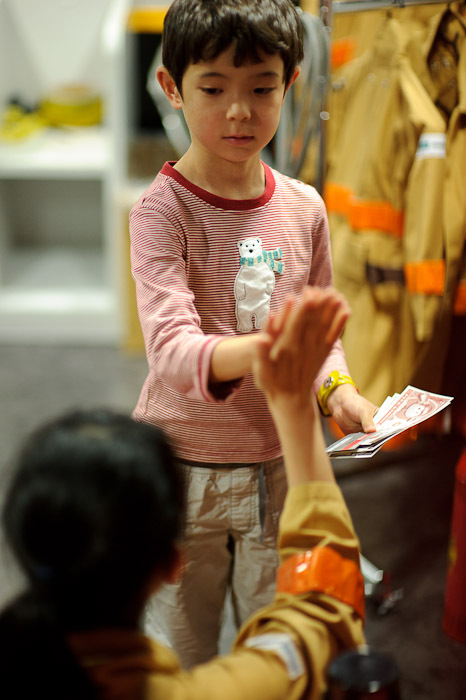 The girl doing the job was just that, going through the motions to do a job. 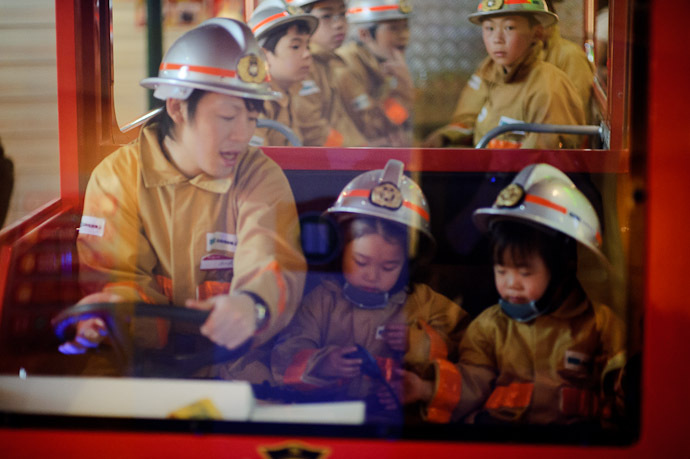 Too bad... if she had the right attitude, both she and the kids would get so much more out of it.